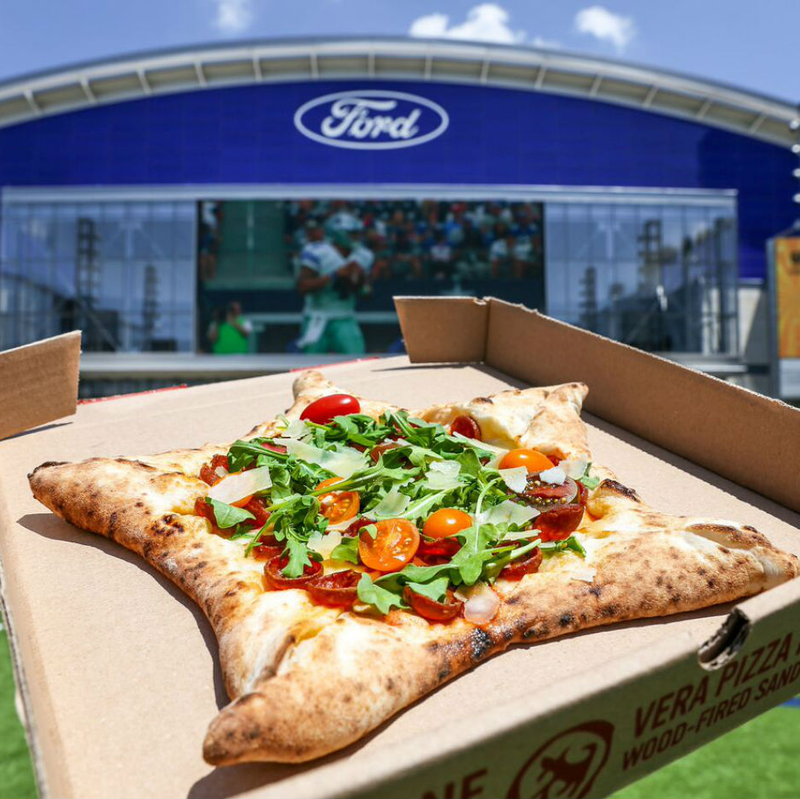 The Frisco location of Cane Rosso, the Dallas-based pizzeria chain known for authentic Neapolitan-style pizza, which is opening at the Dallas Cowboys' complex The Star, has a date: July 31. 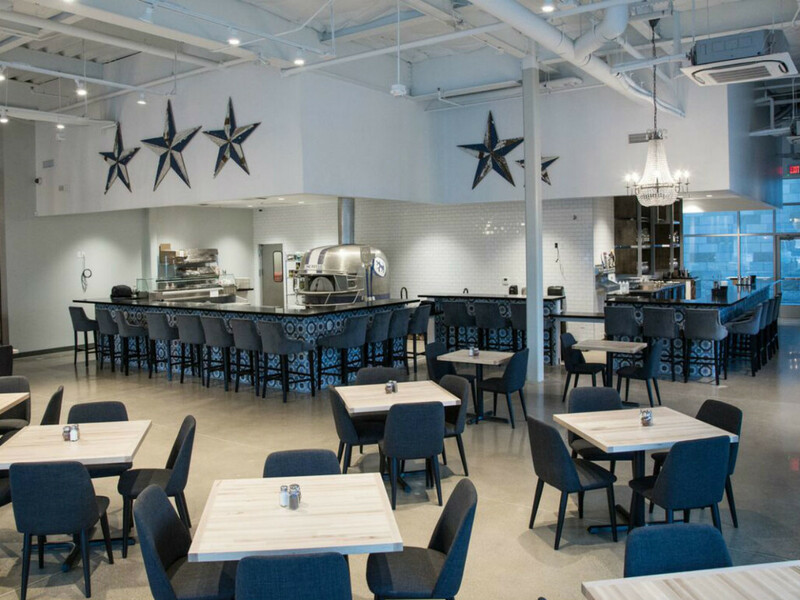 The restaurant will be among the first to open at The Star, along with its ice cream sibling, Cow Tipping Creamery. The big thing is the oven. 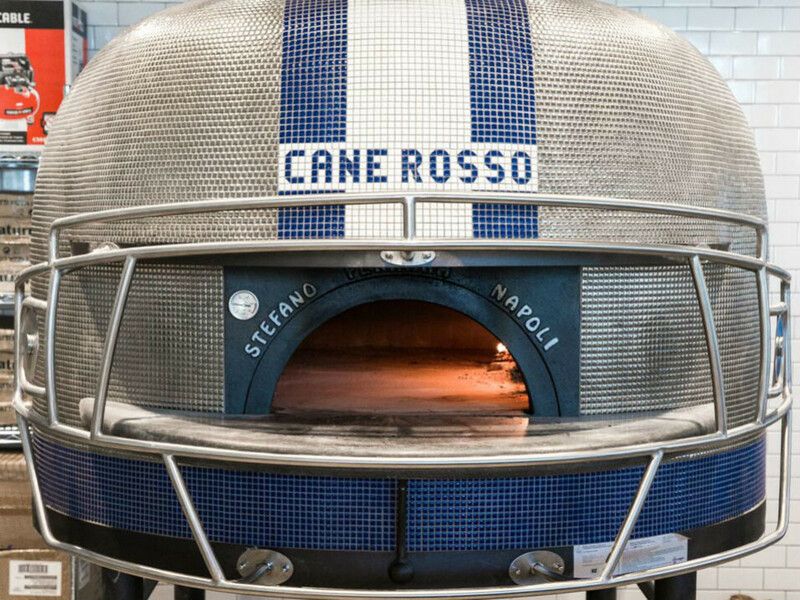 Every Cane Rosso location is centered around a traditional, dome-shaped, Neapolitan-style oven; the one in Frisco, designed as an homage to the Dallas Cowboys, is styled to look like a blue and silver football helmet, including a recreation of the metal apparatus that goes over a player's mouth, whose official but unspectacular name is "facemask." 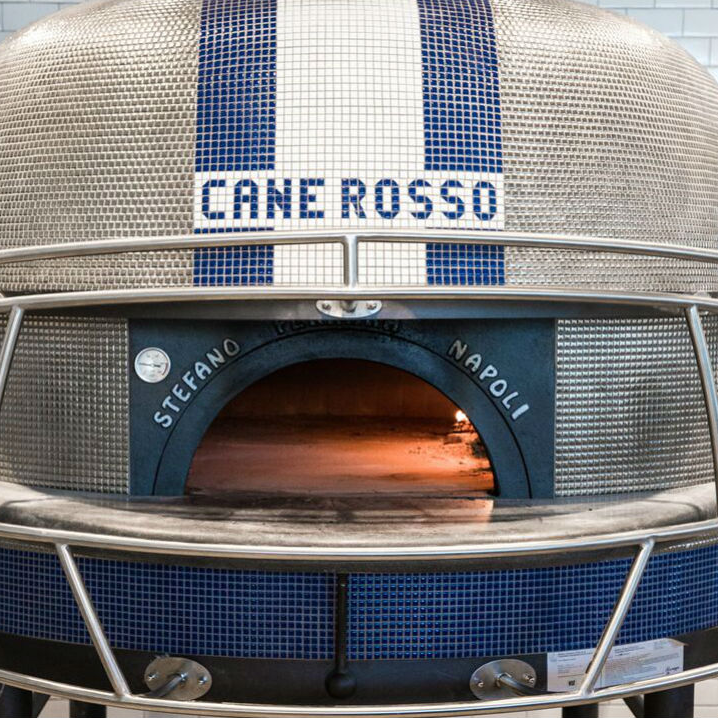 Designing custom ovens for each new location has been a Cane Rosso trademark since they opened their first branch in Deep Ellum in 2011. "I knew that I wanted that oven to be red and white, and it evolved from there," Jerrier says. 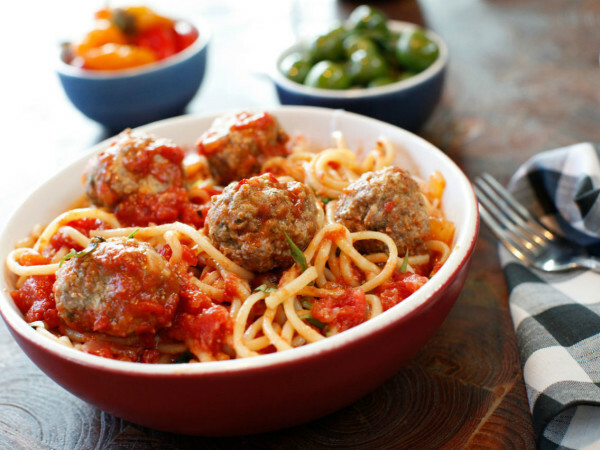 "Our pizzaiolo Dino Santonicola is in charge of the design now. He works with Stefano Ferrara, who makes the ovens in Italy. For the Cowboys location, we did plan it out. We always had a helmet theme in the back of our minds, and Dino did a great job with the colors, matching with the shiny metallic tiles." 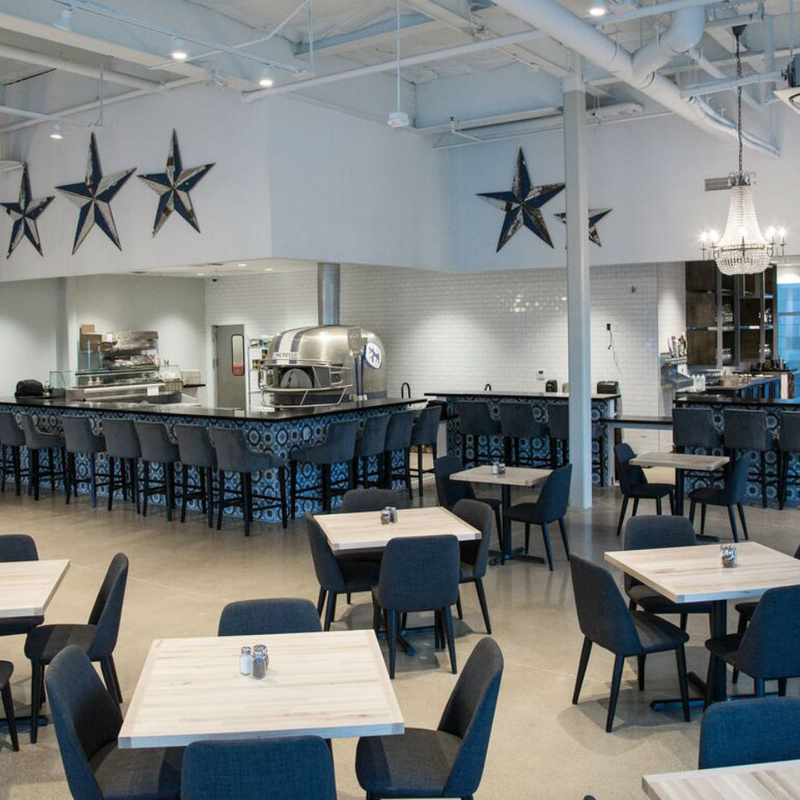 Seating is navy blue, and there are crystal chandeliers. The walls are lined with pop culture-inspired prints by Dallas artist Clay Stinnett, a favorite of Cane Rosso owner Jay Jerrier. One shows stormtroopers from Star Wars, Jerrier's favorite film, lined up in the same pose as a famous photo of Run DMC. 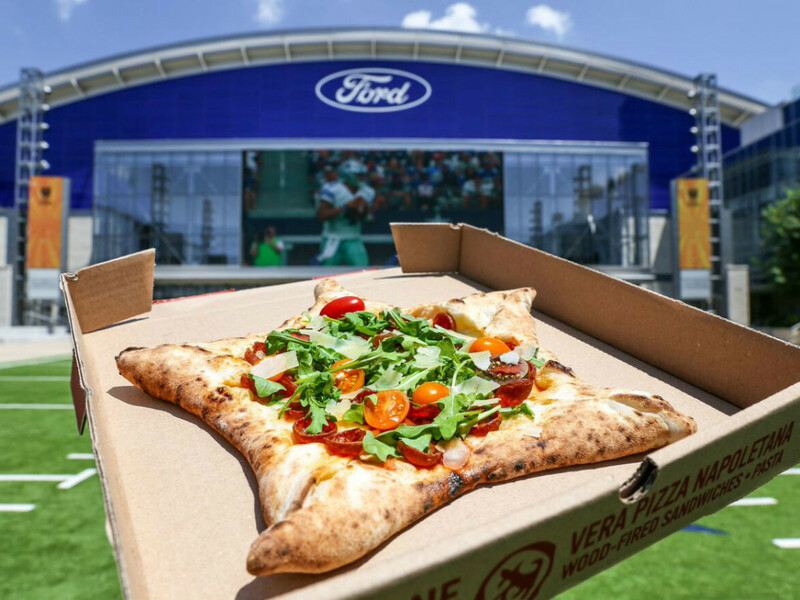 The Frisco branch will have the same menu of pizzas, pastas, sandwiches, and salads as other branches, but with additional items that are specific to The Star. 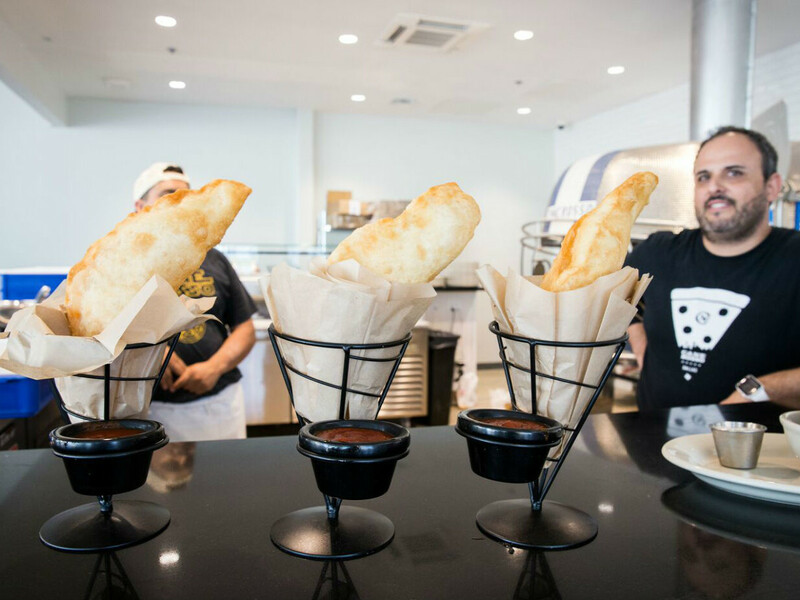 Those include a star-shaped pizza with a stuffed crust, topped with ricotta, pepperoni, arugula, and local tomatoes; the sports bar classic, chicken wings; and a new "fried calzone," served in a Belgian frites-style cone with a side of marinara. 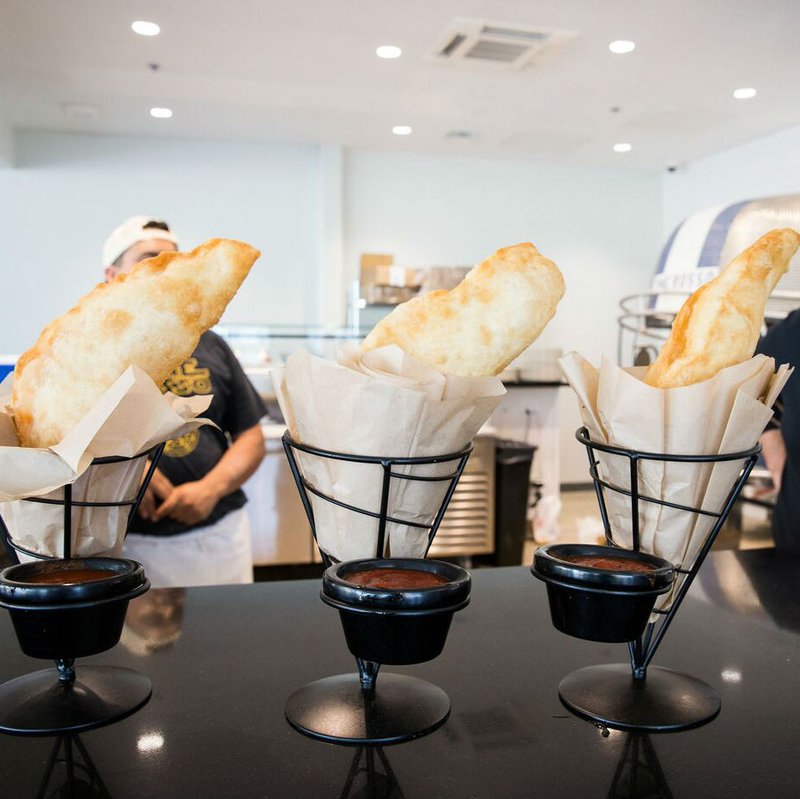 "Fried calzones are a big street food in Naples," Jerrier says. 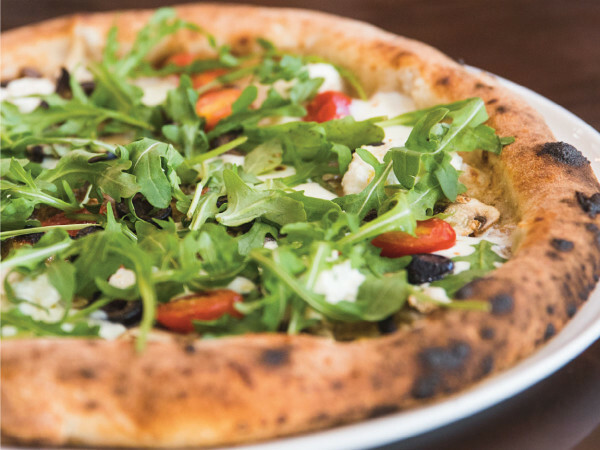 "Ours is a traditional version, filled with ricotta, mozzarella, and prosciutto. That whole complex is so interactive.We wanted something you could carry around, if you wanted." They're doing two kinds of wings: lemon pepper and spicy habanero honey. Cow Tipping Creamery, the Austin-bred ice cream company that partnered with Cane Rosso in 2015, is next door. Cow Tipping specializes in soft-serve ice cream enhanced with unusual toppings. 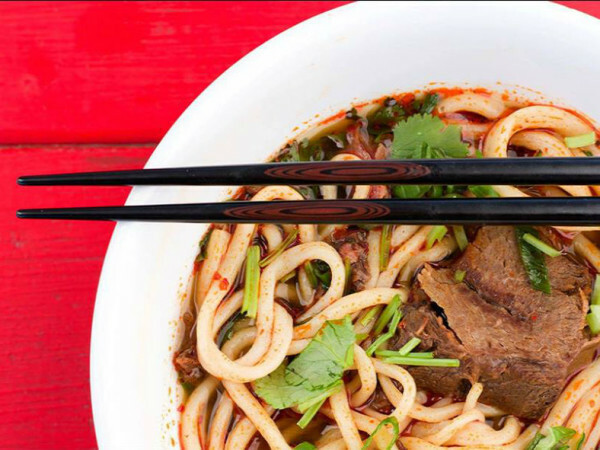 The menu includes sundaes, weekly special flavors, shakes, and Hong Kong-style bubble waffle cones. 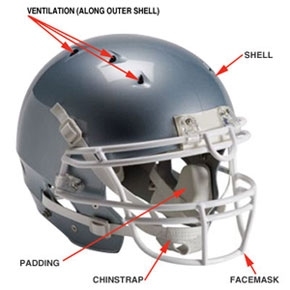 In addition to being home of the Dallas Cowboys World Headquarters, The Star is home to an indoor football stadium, the Omni Hotel, a medical center, and an entertainment district with world-class restaurants, retail, and events.